Hello! My name is Alexis . . . and if you didn't know I am MAD FOR BOOKS. I spend most of my time reading, and when I'm not reading I'm on twitter or sleeping. Or working on my blog. Here on my blog, I will talk about Books. Everything book related! Just so you can get to know me better I'll put a list of things about me that I like or do! ○ I am REALLY REALLY weird. ○ I had a hedgehog named betsy, who passed away on October 29th, 2015. and I have a rat named Penelope who likes to bite me . . .
○ I love listening to music, especially Halsey. ○ My two main best friends are Sabrina (travel buddy) and Jade <3! ○ I do my best to post every other day. ○ I live with nine people. ○ I'm the ONLY person in my house that enjoys reading YA. ○ I don't get a long with my step-sister and step-cousin. 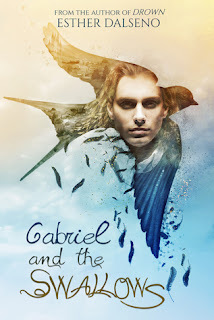 ○ I love love love love love Fairy-tale re-tellings! I adore them! ○ I will fangirl anywhere. ○ I want to have a house full of cats/dogs and books. ○ I'm running out of ideas to put, but I want to put more . . .
○ I am probably the most immature 16 year old there is . . . I still listen to High School Musical. ○ I am awkward and shy. ○ I sing in the shower. sometimes. ○ I dance when no one is watching because I am shy, lol. ○ I live on twitter.